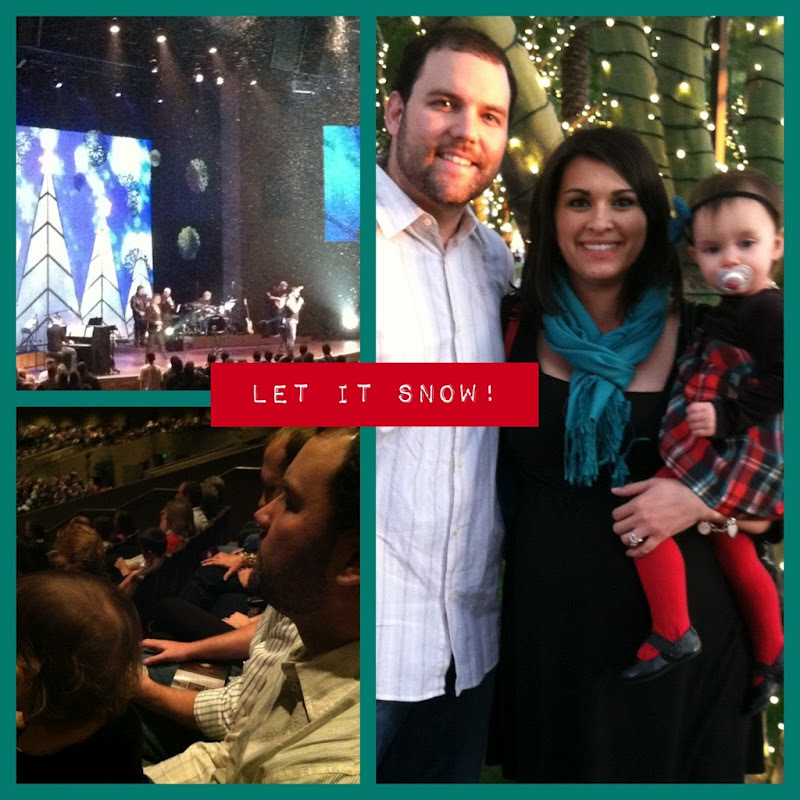 We had an awesome Christmas Eve celebration with our friends, the Broman's, at CCV. We sang holiday songs, danced and listened to a message all about the real importance of this holiday season...which is faith, family and giving to those in need. The church did an amazing thing and gave every single guest a dollar to start a jar for a need. It might be for a your family, your kids, a friend or someone you don't even know. We are starting a family jar and will be praying for the opportunity for the jar to fill a true need. Along with this wonderful family jar the church had other fun stuff going on during the service...they had snow falling inside as we all sang Let it Snow, and other holiday songs. Minus a few bubbles in her tummy Reegan really enjoyed the service. She was dancing, clapping and waving to everyone in our area. She made the whole experience one that I'll never forget. Hope your Christmas Eve was one to remember as well.